Social media monitoring and customer service: the answer, or part of the problem? In an earlier post, ‘5 features of successful social sharing’, I enthused about social media monitoring and how assiduous and intelligent ‘listening’ to people’s behaviour and attitudes around brands and market sectors could inspire effective marketing initiatives. This is only one of the many ways in which social media monitoring can benefit business. Another powerful way in which it is being used is as a customer service tool, enabling businesses to pick up early on customer criticism and ‘nip it in the bud’, with a public or a personal response. It is now well understood how effective ‘service recovery’ can leave an initially pissed-off customer feeling more positive about a brand than they did before the problem occurred. So, being able to respond in a timely and appropriate fashion to negative Tweets is critically important. There are some great examples where companies have screwed this up but, when it is done well, a company stands to win friends and influence people: the customer feels better about the business as a consequence of the fast, personal attention they have received, and the company can gain considerable social kudos that enhances its reputation. It’s a win-win for everyone involved. Increasingly, companies are using social media monitoring as a key component in their customer service provision. However, I believe that such an approach carries with it dangers that pose a significant reputational threat to the businesses that employ it. My evidence is anecdotal, but a couple of examples should illustrate the point. 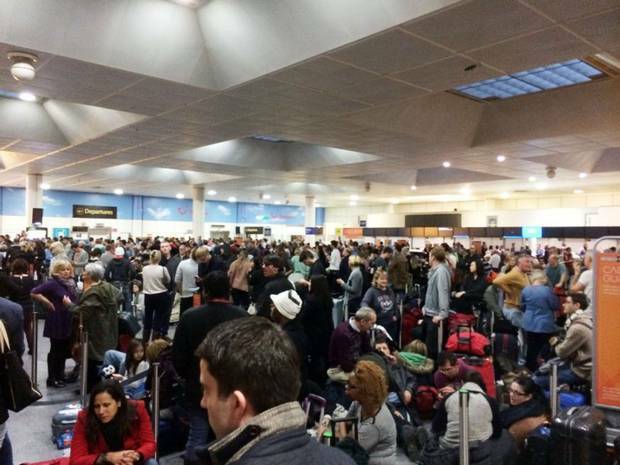 On Christmas Eve 2013, heavy rainfall flooded an electricity sub-station at Gatwick Airport, forcing the cancellation of most of the day’s flights. There was anarchy in Departures, as thousands of passengers, already stressed out by endless delays, were left literally and metaphorically in the dark as they tried to find out what they should do, now that they would not be able to leave on their holidays or travel to see their relatives for Christmas Day. There was no information on the display boards; airline and airport staff were nowhere to be found, having locked themselves into back room offices to avoid confronting a sea of angry passengers. Fights broke out and the police had to intervene several times to keep the peace. I was caught up in this melee, along with my wife and 4 children. Our BA flight had been cancelled and we had no way of finding out what to do. Having searched unsuccessfully for a couple of hours to find any information that might help, in desperation I angrily Tweeted BA. Within 5 minutes, BA had Tweeted a response and a brief exchange led to me re-booking for Boxing Day and knowing the course of action to pursue for my insurance claim and to obtain our checked-in baggage. So, BA had saved the day. However, it may have won the battle, but it hadn’t won the war. While I was relieved at having solved the problem, and quite chuffed at my ‘resourcefulness’ in pressuring BA to respond via Twitter, I didn’t feel better about BA. BA’s rapid answer to my Tweet sat in the context of its complete failure to be proactive in dealing with a crisis that was ruining Christmas for thousands of its customers. Its on-site staff hid and battened down the hatches; there was no information on its website; despite having the email addresses of, I would guess, the vast majority of its customers, it did nothing to update them on the situation or give them the information they needed to address the issue. An isolated customer service ‘success’ with me was a diamond in the tar pit of a massive customer service failure for the bulk of its customers. Armed with this experience, I knew what to do when BT completely screwed up the installation of business broadband when I moved offices last year. After several fruitless telephone interactions with BT had left me losing the will to live, I pursued the Angry Tweet Option once more. And, again within 5 minutes, I had a named individual who took personal responsibility for solving the problem. Stuart did an excellent job, calling me regularly to update me and energetically pursuing the case to its satisfactory conclusion. Did such personal, attentive and effective customer service leave me feeling better about BT? Actually, no. And for similar reasons as for the BA example. BT had catastrophically cocked up my order. 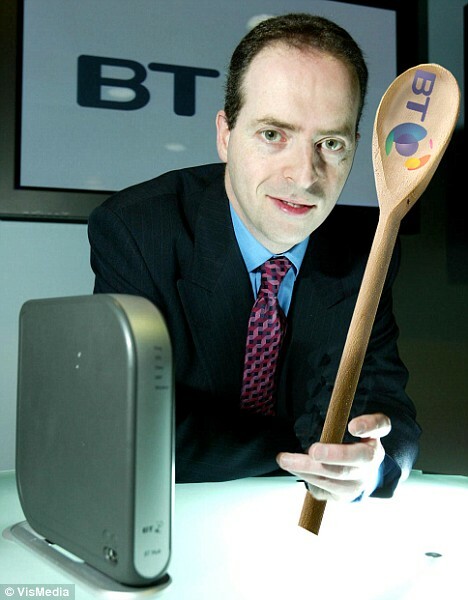 And Stuart, for all his proactive attentiveness and ultimate effectiveness, could not compensate for the fact that BT’s standard issue ‘customer service’ operatives had eaten up hours of my time being utterly ineffectual. The system was fundamentally unfit for purpose. My fear is this. Because social media monitoring is such an effective way of picking up customer complaints early and, critically, because it mops up issues that, because they are in the public domain and readily sharable, could quickly escalate if not dealt with urgently, it is swiftly becoming the focus of many business’s customer service provision. 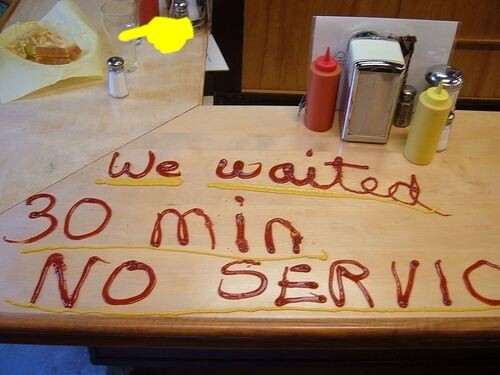 But reactive service recovery is not customer service. I am not, of course, saying that organisations shouldn’t provide highly responsive customer service through Twitter. But what I am saying is that, while social media monitoring is tricky and demanding, it’s actually easier than providing brilliant, proactive customer service in the first place. Reactive social media-driven customer service is just sticking plaster. Admittedly, it’s sometimes sticking plaster with a pretty design that you can show off. But it remains sticking plaster, nonetheless. The fundamental structural, managerial and training issues that gave rise to the problem in the first place still exist. In fact, it’s worse than that. When a business emphasises reactive social media-driven customer service over the real thing, it runs the risk of engendering greater cynicism and distrust on the part of customers than did the initial service failure. It encourages the perception that the business only ‘cares’ about customer issues when they become public; that, as long as the customer is suffering on their own and social networks don’t know about it, the problem can be relegated; ultimately, that a customer’s problem is only a problem if it goes social. So, rather than looking smart, modern, efficient and caring, the business, step by tiny step, begins to look a little more cynical, manipulative and insincere. You can argue that, in a brave new digital world, populated by sophisticated customers who all understand and accept that modern businesses-customer relationships are inevitably framed in a social media context, none of this matters. Sure, some older people who aren’t digitally savvy or au fait with the new order will get left behind, but everyone else will be on board, marching happily into a wittier, more personalised future. Don’t bet on it. The important stuff is often the hardest. And making brilliant customer service intrinsic to the business, experienced by customers spontaneously at every touch point, is difficult. It’s always tempting to go for the quick solution, to paper over the cracks. But it won’t pay in the long run. As social media-driven ‘customer service’ becomes the norm, which are the businesses that will stand out? Perhaps it will be those that haven’t forgotten what they are there for: to provide brilliant customer service proactively, as a given, without it having to be demanded by the public, in public.